After completing his transfer from Real Madrid to Juventus this week, Cristiano Ronaldo is reportedly already seeking a reunion with a familiar face. As noted in their official statement, the Bianconeri wrapped up a deal worth in excess of €100m for the 33-year-old with Ronaldo now set to embark on a new challenge in Italy. Given the illustrious career that he’s already had, particularly over his nine years with Real Madrid where he enjoyed great success, it’s expected that run will continue in Turin given Juve continue to dominate domestically and could now have the marquee addition needed to conquer Europe. However, as reported by Mundo Deportivo, via Sport Mediaset, Ronaldo wants a familiar face to join him at the club, as it’s claimed that he’s requested Juventus move for Marcelo this summer. The pair struck up an excellent understanding during their time at the Bernabeu, consistently linking up to great effect down the left flank while Marcelo’s tireless work ethic and defensive qualities undoubtedly help mask any potential weakness down that side if Ronaldo isn’t carrying out his defensive duties. In turn, it’s understandable as to why the Portuguese ace would reportedly want Juve to move for Marcelo, but as noted in the report, Real Madrid will unsurprisingly be apprehensive in allowing another fundamental figure in their side to leave the club this summer. 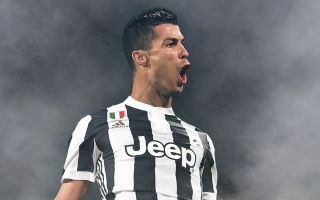 With that in mind, it sounds unlikely that Ronaldo will get his reported wish, but with the quality in the Juve side with the likes of Alex Sandro, Mattia De Sciglio and Joao Cancelo operating in the full-back positions, it may well be enough without the need for Marcelo to sustain their level of success and go a step further with Ronaldo leading the charge.